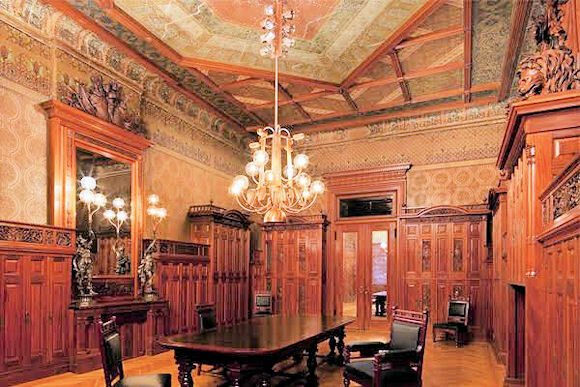 Arguably the most opulent National Guard armory in the United States stands on New York City’s Park Avenue, a few blocks from Central Park. Since the 1880s it has been home to the Seventh New York National Guard Regiment, a regiment known for its “silk stocking soldiers” and for giving us the name “National Guard.” The illustrious families of these soldiers bear out the silk stocking nickname: Vanderbilt, Van Buren, Roosevelt, Rhinelander, Stuyvesant, Astor, and Harriman to list a few. 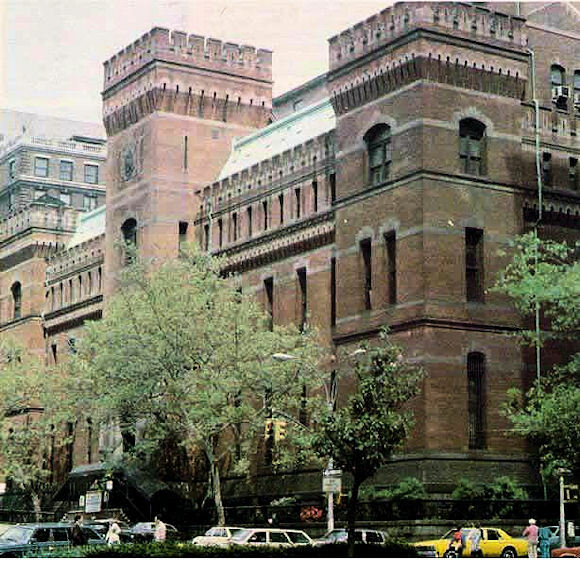 The Seventh Regiment Armory was built in 1880 for $2.5 million and had been privately paid for without a penny pinched from New York’s city or state coffers nor a cent taken from the federal government. It covered an entire block in Manhattan’s plush Upper East Side, between Sixth-sixth and Sixty-seventh Streets. Because the land was owned by the city, the regiment leased it for the princely sum of one dollar a year. When the great citadel was finished, it stood four stories high with a watchtower that rose majestically above it. The watchtower has since been lopped off. The rear of the armory is a great drill hall, at one time larger than the playing field of the Brooklyn Dodgers’ old Ebbets Field. It was designed by the Delaware Bridge Company to look like the inside of the railroad shed at Cornelius Vanderbilt’s original Grand Central Depot with a massive iron-truss system. The drill hall easily handled a muster of 2,000 men. A gallery overlooked the drill hall so dignitaries, wives, and sweethearts could comfortably view New York’s captains of industry, as in a Broadway theater—its leading merchants, lawyers, bankers, and stockbrokers; newspaper reporters, magazine editors, writers, and illustrators; actors, artists, poets, and musicians—in full military regalia. However, the most impressive feature of the Seventh Regiment Armory was its interior. 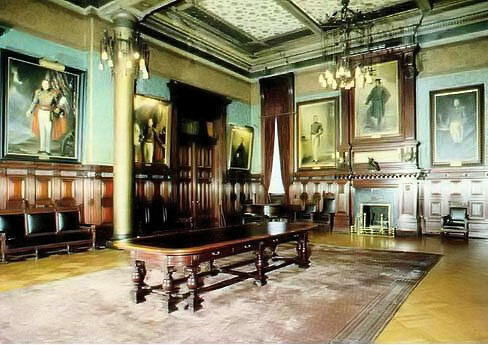 Here the likes of Louis Comfort Tiffany and Associated Artists, Stanford White, the Herter Brothers, Leon Marcotte, Alexander Roux, Pottier and Stymes, and other eminent artisans of the Gilded Age virtually had free reign in the design and furnishings of the regimental headquarters and company rooms, reception parlor, library, mess hall, and gymnasium. Each outclassed the other in elegance and grandeur. The spirited competition was too obvious, and in the end the splendid stronghold that safeguarded the fashionable East Side rather showed off the money and artistic virtuosity of its owners than their military might. The silk stocking soldiers, meanwhile, had never seen combat—not in the War with Mexico, the American Civil War or the Spanish-American War. They were looked upon as slackers, and during parades white feathers—a symbol of cowardice—were thrown at them as they marched along Fifth Avenue. And the Seventh Regiment Armory, now called the Park Avenue Armory, is still a fitting monument to those courageous New Yorkers. Steve’s books on World War One include Duty, Honor, Privilege: New York’s Silk Stocking Regiment and the Breaking of the Hindenburg Line. 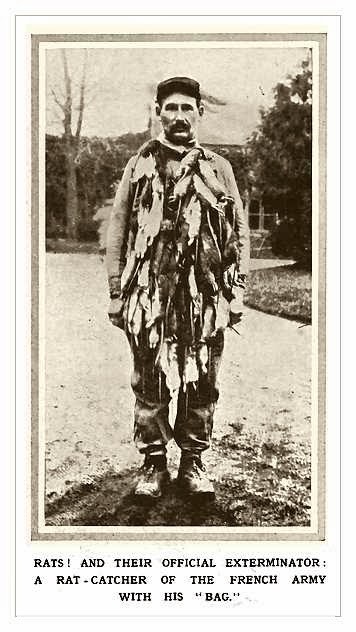 100 Years Ago: The Coming of the "Turnip Winter"
None of the nations involved was prepared economically for a long-lasting conflict. After trench warfare set in and the war became a grinding affair, indirect consequences of the war soon affected the civilian population. Missing imports from Russia, Poland, and overseas soon began taking a toll in Germany. 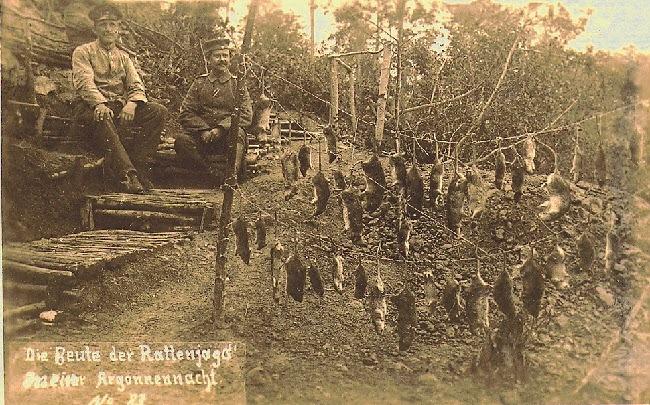 In addition, many farmers had been drafted for military service, leading as early as the autumn of 1914 to considerable crop losses and the first bottlenecks in the food supply. In particular, the staples bread and potatoes were soon scarce. Many foods were rationed from 1915 and were available only with food stamps. 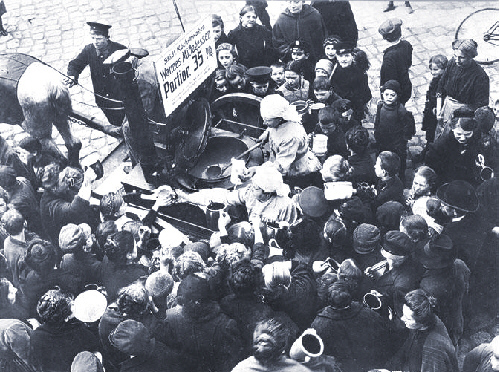 By 1916 mobile soup kitchens like the one below in Berlin were appearing on German streets. 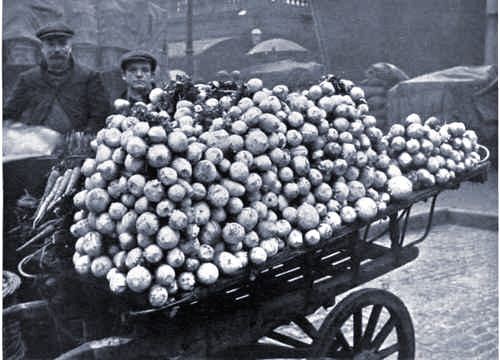 A peak in food shortages came with the notorious "Kohlrübenwinter" ("Turnip Winter") of 1916–17. A rainy autumn caused a blight had reduced the harvest to about half of the previous year. An extremely cold winter followed, leading to a significant shortage of coal both in private households and in the railways, so the transportation of potatoes to customers mainly in the big cities was hampered and many potatoes spoiled on the way. As a last ditch measure, turnips – traditionally used as animal feed – were distributed in cities and towns. Two pounds of turnips per week were authorized for each civilian. The turnips were prepared in every conceivable variation. However, there was a total lack of other important nutrients, especially oils and fats. 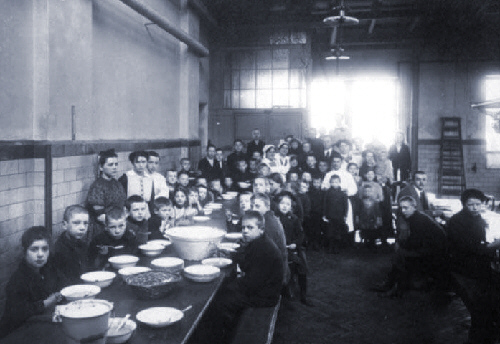 Soup kitchens were established where needy families could eat and find some warmth. In addition, the forests and parks were authorized for deforestation to provide wood for home heating. During the Turnip Winter two notable spikes in mortality were in the adult female population and among the wounded soldiers sent home for recuperation. In 1917 bread rations were further reduced. This increasingly shrinking food supply subsequently led to hunger protests and strikes. The resultant severe undernourishment was particularly telling on the elderly, the young, expectant, and nursing mothers. Improper diet lowered resistance to or caused such diseases as tuberculosis, rickets, influenza, dysentery, scurvy, ulceration of the eyes, and hunger-edema. The influenza epidemic of 1918 had, therefore, a far greater effect on German mortality, which was 250 percent greater in that year than in England. 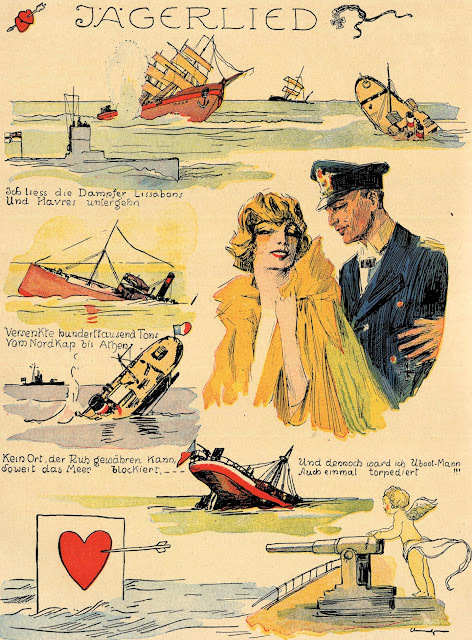 Things were grim not only through the end of the war but also after the Armistice, as the Allies maintained their naval blockade on the defeated powers. German sources estimate that about 700,000 civilians died in 1918, many due to starvation or their vulnerability to the Spanish Influenza caused by malnutrition. Sources: Various German Websites; The Politics of Hunger: The Allied Blockade of Germany, 1915–1919 by C. Paul Vincent. Alan Winslow, Douglas Campbell, John Huffer, 94th Aero Sq. Spring. The airdrome at Toul. A chill early-morning mist blankets the field. Douglas Campbell and I are on emergency service, which at the moment consists of waiting and a game of Russian bank. Somewhere over the lines Eddie Rickenbacker and Reed Chambers are on their first patrol. A telephone call from headquarters: Two German planes are reported over the near-by village of Boug. We run to our waiting planes. I take off first. I clear the trees bordering the field. There, directly before me, diving out of the mist, is a German Albatross. We fight no more than a few feet above the tree tops. The fight is over in less than four minutes; I land, climb out of my cockpit, and run toward the German pilot whose plane has just crashed to earth. He is surrounded by a chattering, excited crowd. I stand awkwardly on one foot and then on the other. I am only twenty-one and this is my first air victory. Alan Winslow (1896–1933) was a veteran of the Lafayette Flying Corps (†) , who subsequently joined the American Air Service and was assigned to the 94th Aero Squadron. After the event described above he continued flying until he was shot down on 31 July 1918 and became a prisoner of war for the duration. He was wounded in the left arm, which was subsequently amputated by German doctors. In his later life he became an executive for Pan Am and wrote the 1933 series of articles on the air war for Liberty magazine quoted above titled "No Parachutes." Later the same year he died due to a fall from his hotel room during a business trip to Ottawa. Various writers have speculated this may have been a suicide because of the loss of his wife or other reasons. He is buried in Arlington National Cemetery. Douglas Campbell (1896–1990) was assigned to the 94th Aero Squadron on 1 March 1918. 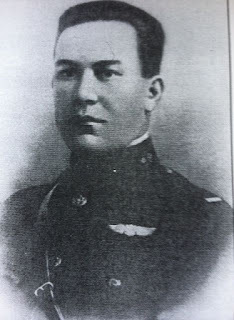 He and Lt. Alan Winslow shared the squadron's first official victory over an enemy aircraft on 14 April 1918. Flying the Nieuport 28, Campbell was the first United States Air Service pilot trained in the United States to score five confirmed victories. Scoring his final victory on 5 June 1918, he and James Meissner shot down a Rumpler near Nancy, but Campbell was wounded in the back by an explosive bullet and sent home to recover. Promoted to captain, he returned to France on 8 November 1918 and served with the Army of Occupation in Germany. Returning to the United States on 1 January 1919, Campbell was discharged from the army on 24 February. (†) Corrected from original posting. This is an extremely readable book that appropriately appears exactly a century after the year it focuses on. Looking at 12 areas of the world in 1916, Keith Jeffery illustrates how the war was indeed a global disaster. As he points out in his introduction, "My aim in this book has been to use emblematic events from each month of 1916 as hooks for a series of reflections through which the astonishing range, variety and interconnectedness of the wartime experience can be charted" (3). It's not hard to identify the crucial events of 1916, of course, but it's understandably impossible to view them in isolation. The flow of cause and effect can't be partitioned that way. Thus Jeffery's first chapter, on Gallipoli, deals with a lot of what took place in 1915 as well as the tense troop withdrawals which culminated in January 1916. By the end of this chapter we know much about the debates and reasons leading up to the landings, the terrible conditions encountered, and the amazing variety of combatants involved (including the Zion Mule Corps). An analysis of how time has dealt with the memory of Gallipoli among the involved nations and peoples concludes this chapter. Other chapters follow the same course, straying for various good reasons outside their assigned year. Since there is little interplay between chapters, 1916 could almost be considered an anthology of articles rather than a flowing history of the war. The author's desire to primarily show how WWI was, as his subtitle indicates, a truly global disaster happening in many areas leads him to focus on specific actions in specific places. That the author is an Irishman is evident from the start, and Ireland plays a recurring theme in his book. 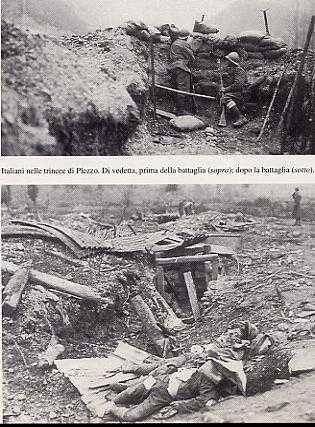 Following Verdun and the Isonzo, chapter 4 looks squarely at the events of 24 April 1916 in Dublin. Interestingly titled "Ypres on the Liffey" (The Liffey is the river that flows through Dublin. ), the chapter opens with Roger Casement and his meandering career culminating in his execution as a traitor. Just about all other Irish concerns of the time find a place in this chapter, including the painful paradox of resentment for the British and the vast numbers of Irishmen who volunteered to fight in the British Army. Halfway through 1916 the "greatest naval battle of the war" (Chapter 5) took place, following earlier engagements in the Pacific, South Atlantic, and Indian Oceans. Jutland turned out to be the high point of naval warfare, but economic warfare was to continue on the high seas with blockades and submarines. These are often thought of as mainly British and German matters, but stressing the global nature of the war, Jeffery shows how other nations such as the Dominican Republic, Chile, Argentina, Brazil, Portugal, Japan, and the USA were also affected by the war on and under the seas. Next the author looks at the Eastern Front, first at the early battles of 1914 and 1915 which then led up to "the last great Russian effort of the war, the Brusilov offensive [which was] launched on 4 June 1916. . .and effectively destroyed the Habsburgs' military capacity, though it simultaneously placed intolerable strains on the Russian empire" (Ch. 6, p. 153). Following are chapters on Asia and Africa, where events and demands also serve to reveal that few colonized or indigenous peoples escaped the reach of the conflict. 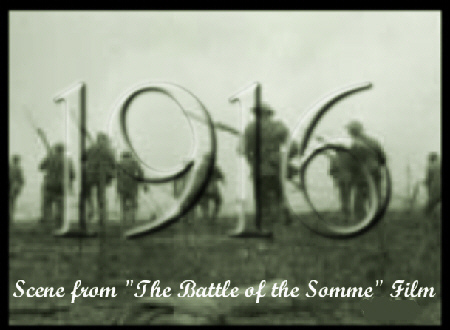 As is well known, the Battle of the Somme began on 24 June 1916 and lasted almost to the end of the year. Jeffery doesn't ignore key events here, but he stresses Irish involvement in the battle. The 16th (Irish) Division drew substantial numbers of recruits from all over Ireland, Ulstermen as well as Catholic nationalists, and was to "carve a fine reputation for itself in some stiff fighting on the Western Front" (p. 246). The differing ways in which the Somme — and the war itself — have been commemorated all find a place in this chapter. The final three chapters of 1916 cover the Eastern Mediterranean and Balkans, the USA, and Russia. Much familiar ground is covered. However, I found the sections on Greece, Serbia, and Salonika to be lucid reminders of these often-ignored theaters. The anti-war and then pro-war Woodrow Wilson receives much attention in Chapter 11, as do American attitudes toward the conflict. Propaganda and sabotage were rife at this time, all leading up to America's entry into the war in 1917. The Russian situation, with Rasputin's murder the day before 1916 came to a close, is the final topic of this book. Political and subsistence riots, enormous military losses, and the dark foreshadowing of what was to come all make up Jeffrey's closing chapter. This book is easy to read and is a good refresher for those who are already familiar with the Great War. There are excellent notes and bibliography but the page of perfunctory maps is hardly useful. Some interesting illustrations are found in two different parts of the book, but I couldn't find any reference to them in the text. All in all, this is a good read that covers the important conflicts of 1916 while showing how nearly impossible it is to focus on the events of one year of the war without considering the foreshadowing and aftermath of those events. Although there is surprisingly little coverage of it in the English-speaking press, German institutions are remembering the war. It takes a little digging, though, to find some of the best resources. For instance from June 2014 through most of 2015, the Ausstellung IM LVR-Freilichtmuseum in the Kommern district of Mechernich, Germany presented an exhibit on the Rhineland in the War.. 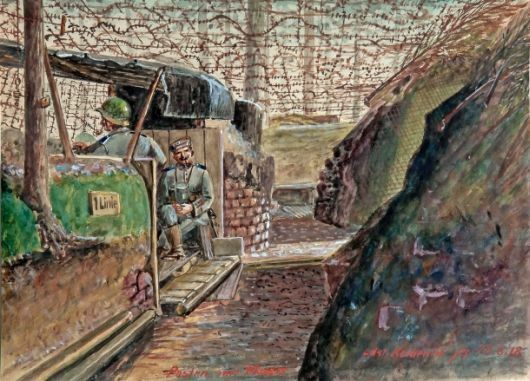 It included an exhibit of the works of Anton Keldenich (1874–1936), a talented regional artist and diarist, who served in the front line despite being too old to be conscripted and quite small. 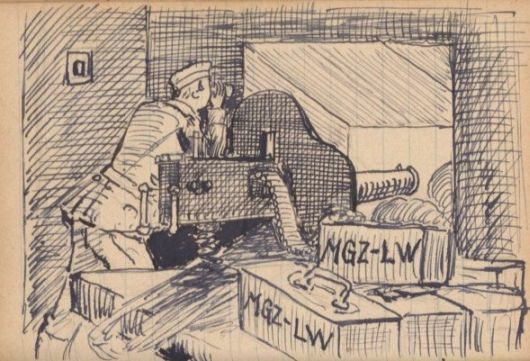 He was initially fascinated by the war machine and sketching of machine guns and rifles and life in the trenches. As the war continued, he designed crosses for fallen soldiers. He eventually became disillusioned over the terrible loses of his comrades. 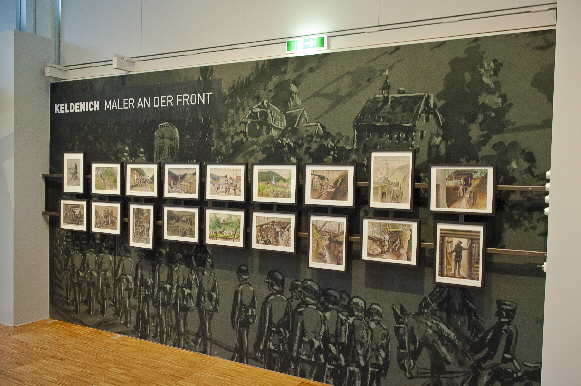 Here are some of his wartime images displayed in the exhibit. The post about the Antwerp Olympiad the other day reminded me of this article. Back when we were lucky to have a couple of hundred visitors a day, this was one of our most popular articles. 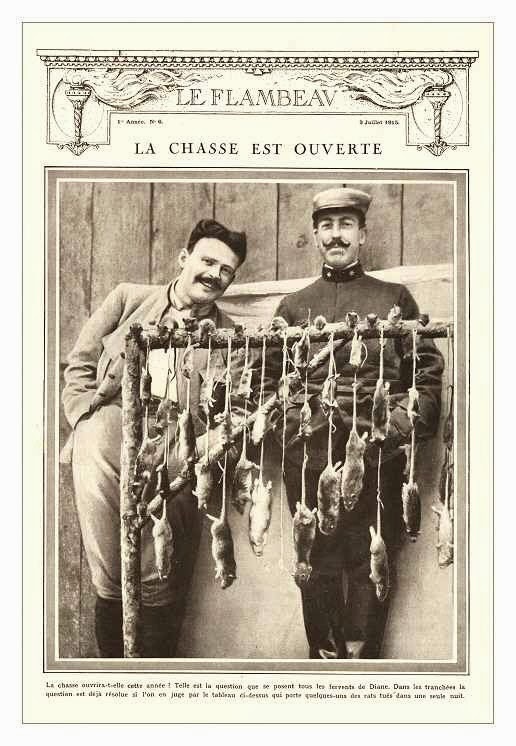 I imagine readers have probably wondered if the soldiers of the Great War had much time to exercise and indulge their sporting and non-lethal competitive instincts when serving in the trenches. Well, below is proof they did. 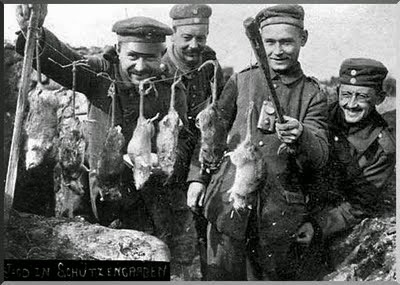 In lieu of the cancelled 1916 Olympic Games (scheduled for Berlin, by the way) the boys spent their spare time tracking down their trench mates, Mr. Rat and his gazillion cousins, and sending as many as possible to the great Rat Hotel in the sky. 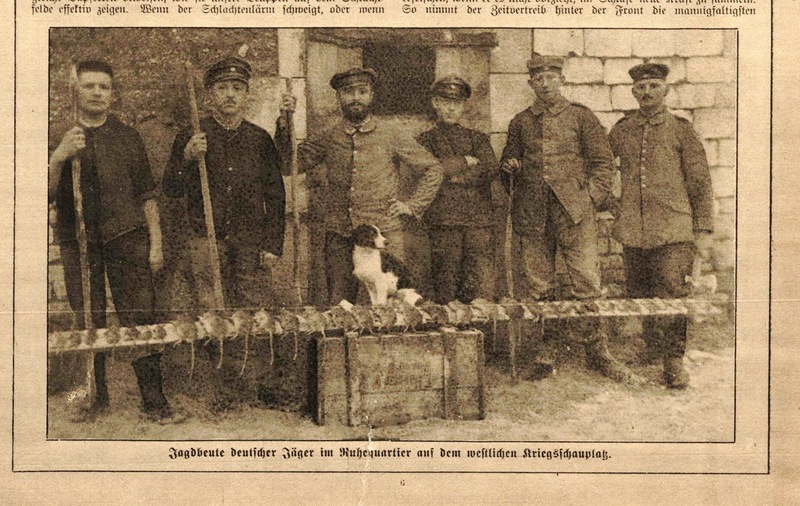 I don't know what impresses me more about the photos below — the dedication, enthusiasm, and pride of the German and French rat-catching teams with their catches shown below, or simply the frightening number of the vermin. 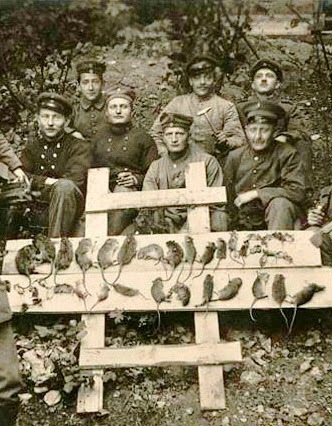 Rats were clearly in endless supply on the Western Front. The single most militarily effective use of gas ever was at the northern breakthrough sector of the October 1917 Battle of Caporetto. 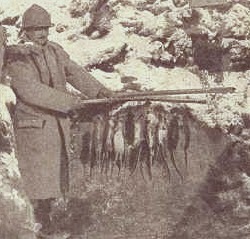 Almost 2,000 gas canisters were fired into a flat basin on either side of the Isonzo river defended by the Italian Army's Friuli Brigade. Due to the fog that morning, sentries were slow to spot the fumes and sound the gas alarms. The new gas combination of diphenylchloroarsine and diphosgene was remarkably fast acting and efficient. 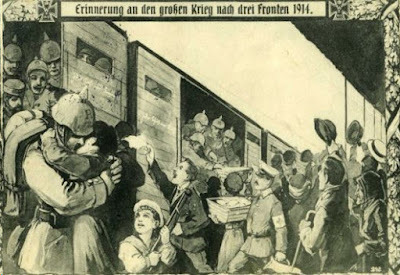 Over 700 defenders quickly died at their posts and the German-Austrian forces broke through on both sides of the river, cutting off tens of thousands of Italian troops on the surrounding mountains. Diphenylchlorarsine was believed to penetrate the gas masks of the time and to cause violent sneezing and vomiting forcing removal of the protecting device. Diphosgene is a lethal asphyxiant, much more effective than the chlorine gas used earlier in the war. It irritates and inflames the inner part of the bronchial tubes and lungs and causes steady coughing, difficulty in breathing, and, frequently, acute pulmonary edema (fluid in the lungs). Below is an after-action account of a reconnaissance mission by an Austrian officer that captures both the inhumanity and the effectiveness of the gas attack near Plezzo on the Caporetto battlefield. We had seen many terrible things, but what presented itself to our eyes on this occasion surpassed every preceding spectacle and will stay in my memory forever. There in roomy and well-supplied shelters and caverns were frozen some eight hundred men. All dead. A few, fleeing together, had fallen to the floor face down. But the majority were bunched up near the walls of the shelters, rifles between their knees, uniform and weapons intact. In a sort of barrack we found another forty bodies. Near the entrance were the officers, the non-coms, and two telegraph operators with their headsets on, a writing pad in front of them, pencils in hand. They hadn’t even tried to use their gas masks. They must have died without even being aware of what was happening. A little later we came to a cavern, whose entrance was camouflaged with sandbags. We opened a passage and entered, shining the cone of light of our flashlight along the damp walls. At the end we saw a kind of storehouse of weapons and clothing. In a corner deeper in the room there was tangle of bodies. From the darkness there emerged some yellow streaks, faces a ghastly pallor. These for sure, had felt the blow of the gas bombs. Out! Away. It seemed as if we were suffocating. I grabbed Simic by the arm and we left. When we were further away, we removed our gas masks and dried the sweat off our brows. My colleague tried to smile to hide his dismay. We walked toward the battery without saying a word. Wilsonianism views human conflict as an expungeable by-product of greed, militarism, oppression, secret diplomacy, and idolatrous worship of the balance of power. Wilson imagined a world born again as a democratic league practicing disarmament, free trade, arbitration, and collective security. Of those tenets, freedom of trade and open sea lanes remain vital interests that the U.S. Navy alone can defend. 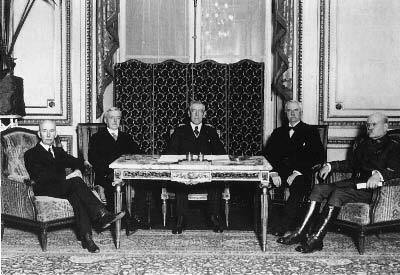 Wilson's "open covenants" did not survive the first week of his own conference, disarmament is the quickest way for the United States to lose its friends and encourage its enemies, and self-determination (as Wilson's secretary of state, Robert Lansing, predicted) is a Pandora's box that spews forth new horrors to this day. Finally, however much Wilson fudged the fact, the League of Nations implied an abridgment of the unilateralism that most Americans still cherish. Wilson's dream, as Henry Kissinger rightly notes, has even less of a chance in the era to come, since the ranks of the major powers may soon include Russia, China, India, Japan, Indonesia, Iran, and Nigeria [? ], none of which has a tradition of Western jurisprudence. In historical perspective, Wilsonianism may well come to be seen as the product of one narrow strain of turn-of-the-century, Anglo-American, Progressive, Protestant thought. "Back to Bedrock: The Eight Traditions of American Statecraft,"
A U.S. Air Force Presence on the Somme! When I lead a battlefield tour, I always ask the group members to suggest sites of particular interest to them. For my recent tour of the Somme battlefield, member Rob Swaney suggested we stop at Regina Trench cemetery, where over 2,200 Canadian lads, who fell attacking that stoutly defended position, have their final resting place. After we arrived, Rob led us to one of the graves and told us the following story. It's one I had never heard before, despite my Air Force and WWI interests. 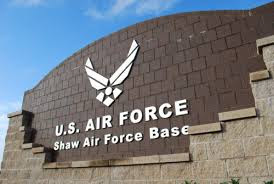 Shaw Air Force Base in Sumter, South Carolina, is named in honor of World War I pilot 1st Lieutenant Ervin David Shaw. Shaw, a Sumter County native, was assigned to the Royal Air Force 48 Squadron, as a member of the Royal Canadian Air Service in 1918. He had enlisted in the U. S. Army in June 1917, received training, and was anxious to see action. In April 1918 he requested an honorable discharge in order to accept a commission as pilot with Signal Reserve Corps, Royal Canadian Air Service. He was eventually assigned to 48 Squadron of the RAF. Shaw died after three enemy aircraft attacked his Bristol F.2B while he was returning from a reconnaissance mission on 9 July 1918. Lt. Shaw downed one of his attackers before he was killed. Being the first Sumterite killed in the Great War and the only Sumter aviator to die in combat, Ervin Shaw became the namesake of Shaw Air Force Base in Sumter County, SC, when the base was established in June 1941. Sources: Find a Grave and the Shaw AFB Websites. 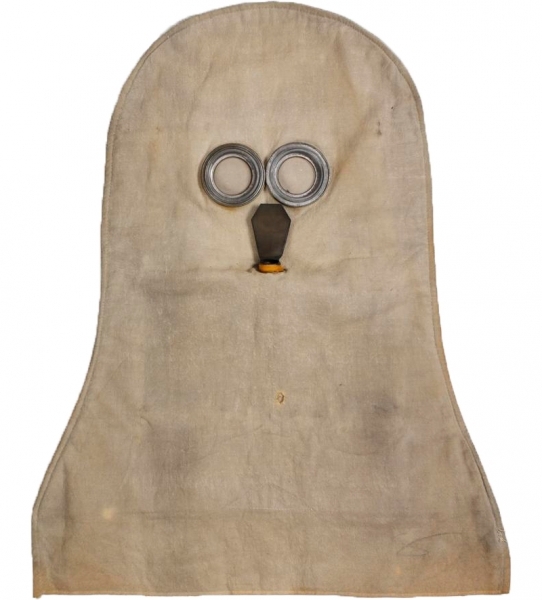 One of the archetypal First World War images is of the PH helmet respirator issued to British soldiers in the mid-period of the war. 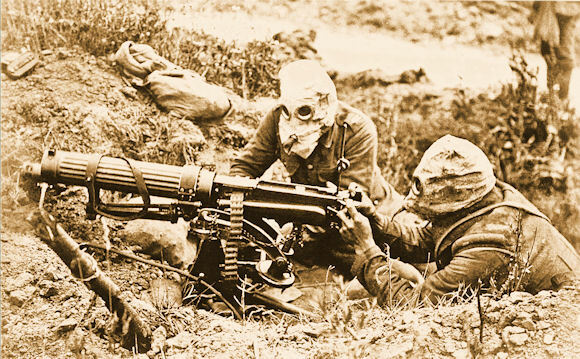 After the Second Battle of Ypres, in which asphyxiants were used to great effect, new gases such as phosgene and hydrogen cyanide made improved gas protection imperative. Experiments indicated that a hooded helmet that had been first soaked in sodium phenate could provide protection. The Phenate Helmet (or 'P' Helmet, or the Tube Helmet, as it was officially known) was adopted from mid-November 1915 and featured the more durable glass goggles set on a hood made of multi-layered linen. The original design had had flannel layers of cloth dipped in sodium phenolate and glycerin, protecting against chlorine and phosgene but not against tear gas. Normal exhalation of carbon dioxide reduced the ability to combat hydrogen cyanide gas, so a tube-shaped valve was fitted so the wearer would breathe out through his mouth. A further development followed the realization that when the P Helmet was exposed to greater concentrations of phosgene it lost its capacity to protect the wearer. The PH Helmet (Phenate Hexamine) replaced it in October 1915 and added hexamethylene tetramine, which greatly improved protection against phosgene and added protection against hydrocyanic acid. From January 1916 all such helmets were to be dipped in a phenate-hexamine solution, thus the PH Helmet came into being, and it was this type that was commonly used by all British troops in France by July 1916. In the meantime, the small-box respirator – the most recognizable gas mask of the war – was being developed and introduced. It consisted of a face piece and a filter box, connected by a corrugated tube. Tim Butcher does a superb job of filling in [a] large and fascinating gap, with a book that is part travelogue, part biography, part history and part journalism, as well as an absorbing exploration of the way the overlooked past colours the present. Highly readable but profoundly researched, The Trigger represents a bold exception to the deluge of First World War books devoted to mud, blood and poetry. The reader should be aware, however, that The Trigger is only secondarily a WWI book and primarily a book about the legacy of WWI in the Balkan region of Europe. It sheds light on a part of the world and tragic events with which our familiarity is inadequate. That makes it worthwhile reading. Moreover, the book has a number of useful maps, showing the general geography of the region, the route used to smuggle the conspirators into Sarajevo, and the streets where the assassination took place. Butcher's book recounts the causes and events leading up to WWI, recaps the 1992–1995 Balkan War, and gives the author's reactions as he revisits war sites from when he as a reporter covered the more recent wars. The title is overly dramatic, as Austria used the 1914 assassination as an excuse to declare war. 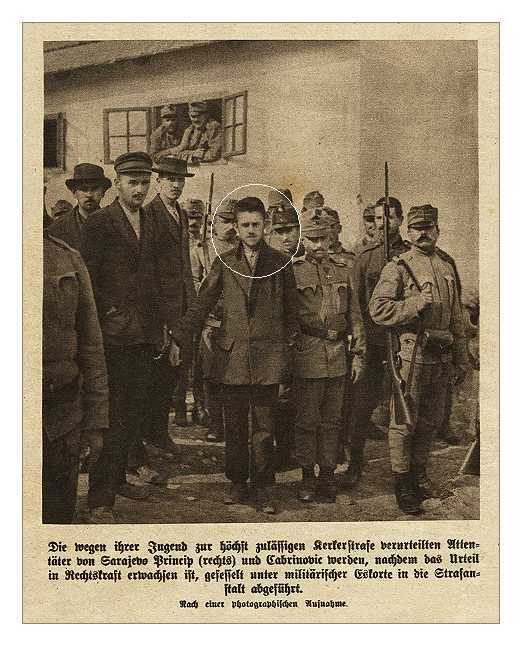 If not for this event, some other excuse would have been used, and Gavrilo Princip may have been the first to state that. The Trigger follows Princip from his very poor village to Sarajevo, where he obtained a secondary education. In the process, he became radicalized and dropped out of school. He was supported by the Black Hand with weapons, marksmanship training, and assistance in crossing the border into Bosnia. In Sarajevo, due to failed communications with motorcade drivers, he took advantage of a very close range opportunity to kill the Archduke and his wife, Sophia. In between, the author tells us of his own trek across the countryside, recounting some of the horrors of the 1992–1995 Balkan Wars-sieges, massacres, and mass escape attempts. Princip's heritage has changed over the decades, as first he was a murderer, then became a hero with his firing location immortalized in cement footprints and a tomb where his remains were reburied. Later his memory would be trashed as the Yugoslavia he wanted had failed to protect his Bosnia, and as the author describes, his tomb became used as a toilet. An informative and pleasurable read indeed! With the completion of the recent Olympic games in Rio, it's well to recall the impact of the Great War on the international sports festival. The 1916 games — scheduled for Berlin — had been cancelled, and the next games were destined to be held in the shadow of the war. 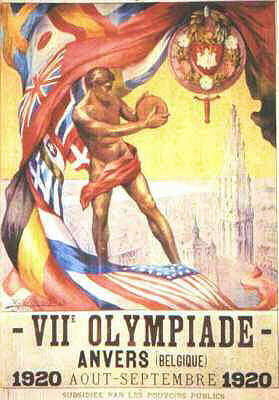 Nevertheless, the VIIth Olympiad, held 14–29 August 1920 in Antwerp, Belgium — a city occupied for most of the war — was strikingly different from any earlier or subsequent event. The selection process for the site, who would be invited to compete, the preparations, and the military aesthetic and sensibility that permeated the games were dramatically influenced by the war. The Olympic ideal was supposed to be "above" all politics and the International Olympic Committee had purposely settled down in neutral Lausanne during the hostilities, but its president, Baron de Coubertin (who, as a Frenchman, had luckily enough found himself on the correct side) had enough common sense to understand that less than two years after the end of the war, German or Austrian athletes would not be welcomed with open arms in a country that they had helped ruin. The former Central Powers (or what was left of them) were not really excluded. They were simply not invited to participate in 1920. It would not be until the 1928 Olympics that Germany once again sent athletes to the Games. Neither was Bolshevik Russia invited; not only was it considered a subversive state advocating the spread of world revolution, it had also left the Allies in the lurch in 1918 by signing a separate peace treaty with Germany and Austria. Moreover, Bolshevik Russia was engaged in warfare with the newly independent Polish state, a state that was receiving military aid and assistance from France. Twenty-nine nations accepted the invitation to participate. Among them were the newly independent states of Estonia, Czechoslovakia, and Finland, created in the aftermath of the Great War. 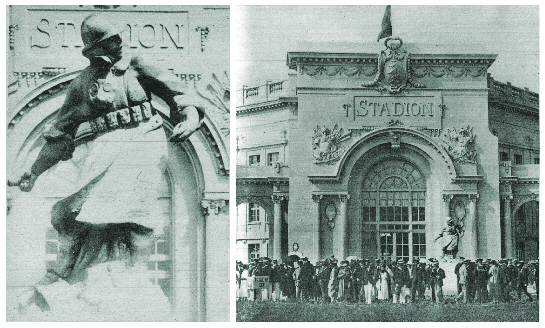 On 14 August 1920, King Albert I of Belgium, wearing the uniform of supreme commander of the Belgian Army, opened the VIIth Olympiad with these words: "In reply to our invitation, athletes from the four corners of the earth have gathered together in Antwerp to celebrate with us the return of peace." At the stadium entrance where one would expect a sculpture expressing the essence of athletic competition, something like a hurdler or discus thrower, was a statue of a soldier throwing a grenade. At the opening ceremony, Belgian soldiers ringed the field, and the American contingent was led by a flag bearer in the team uniform of blazer and straw boater accompanied by four officers of the U.S. military. 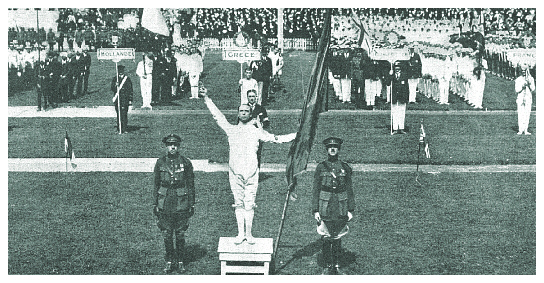 The Olympic oath was taken by medal-winning water polo player and fencer Victor Boin, who had received the Croix de Guerre with Palms (both French and Belgian Croix de Guerre), for bombing and sinking an enemy submarine in the North Sea, destroying numerous floating mines and rescuing several French aviators. He was supported in the ceremony by two fellow Belgian war heroes. I don't think there is any necessity to translate the German captions here to get the message. This is from the German magazine Lustige Blatter, probably sometime before the convoy system was implemented. 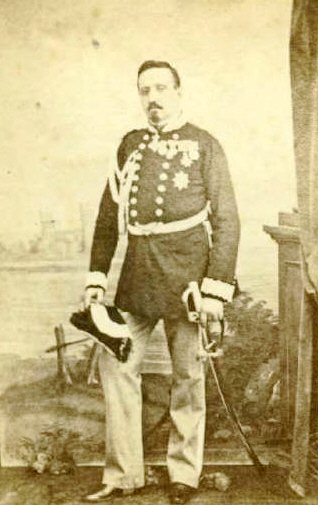 Lieutenant general Giovanni Cavalli (1808–1879) was an Italian soldier, artillerist, and inventor. 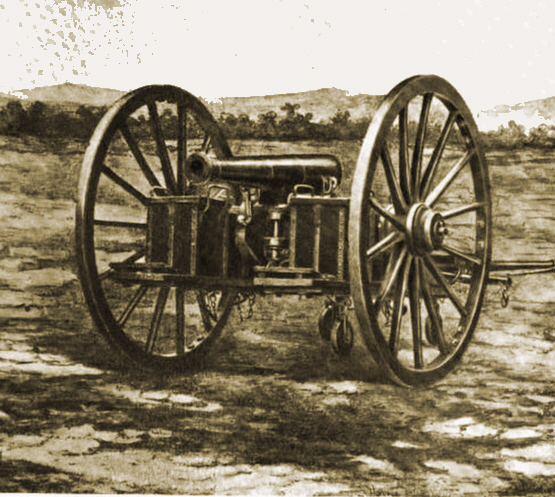 He is credited with the creation of the first successful rifled breech-loader gun. He entered the Royal Academy of Turin in 1818 and graduated from it on 1828 as first of his class, with the rank of lieutenant. He worked on ways to reform and improve the work of artillerists and pontoneers, detailing proposals to change size and duties of gun crews, the procedures to drill them, among others. 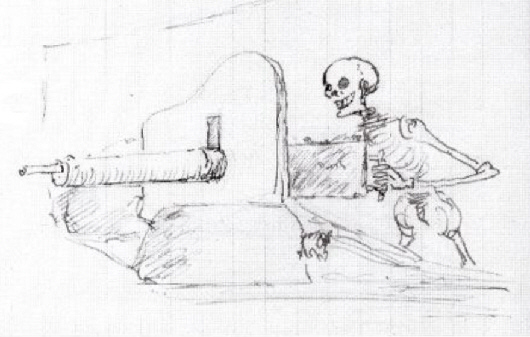 Then-captain Cavalli's first design for a breech-loading gun dated from 1832, but initially it was met with indifference; only in 1843 did his proposal spark some interest, and he was sent to Sweden to oversee the construction of an experimental rifled gun to his specifications. He met there and collaborated with Baron Martin von Wahrendorff, and in 1846 the first trials with the gun met with resounding success. Made of cast iron, the piece accurately fired a 64-pound projectile 3,400 yards. An improved 1854 model that was less prone to bursting when fired had a range of three miles. 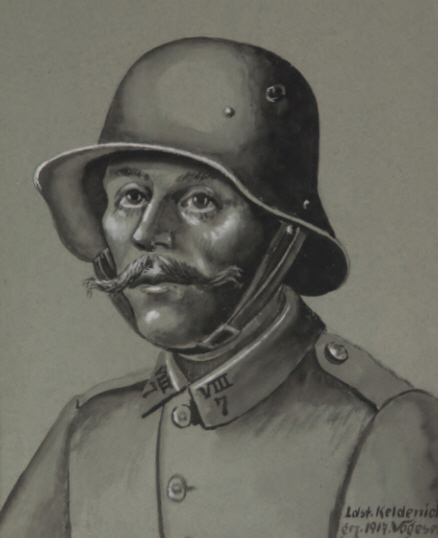 He fought in the First War of Italian Independence with the rank of major, participating in the siege of Peschiera del Garda; he also served in a similar capacity in the Second Italian War of Independence, as a colonel. Afterwards he became director of the foundry of the Turin arsenal. Promoted to major general in 1860 and to lieutenant general in 1862, he served on the Comitato d'Artiglieria (Artillery Committee) and from April 1865 as commander of the Royal Academy of Turin. 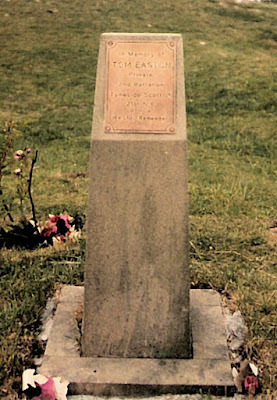 He retired in July 1879, dying in Turin shortly after. The weapon whose development he championed would become the deadliest of the First World War. Martin Middlebrook is the author of possibly the single most popular work on WWI, The First Day on the Somme. I've lost touch with him over the years, but for a time he was a regular contributor to my publications. I recently ran across a 2005 interview I did with Martin. I think it still has some interesting comments from the distinguished author. 1. Greetings, Martin, tell us: There have been many books about the Battle of the Somme since your First Day… was published, yet yours is still a perennial favorite. Why do you suppose it made such a lasting impact? MM: I suppose the short answer is that it was the first British book published as a result of asking the ordinary soldiers what happened to them in the First World War. Until then, most memoirs had been written by the officer class. 2. What is your favorite spot on the Somme? AVELUY WOOD (LANCASHIRE DUMP) CEMETERY has the most beautiful peaceful setting on the edge of a quiet road through the wood. I like the typical wartime name incorporated by the IWGC in the peacetime title. The cemetery actually contains four different types of graves. The scattered graves in the deep left is the original cemetery started on 1 July 1916 when two men from the Ulster Division died, presumably at a Forward Dressing Station brought to this convenient sheltered place near the front for the opening of the offensive. The other graves here are what I call a "comrades plot." 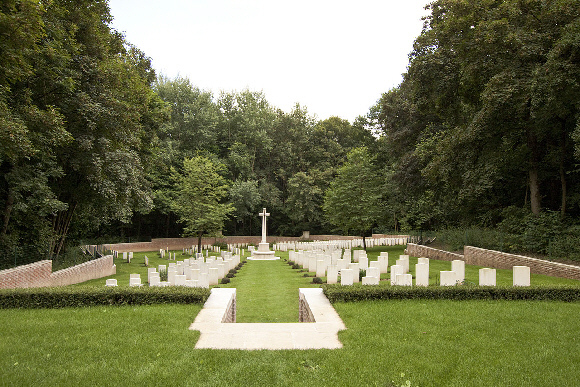 To the right are the trench, shoulder-to-shoulder burials of men killed in and near the wood in the 1918 fighting -— a true battlefield burial plot. Between those two groups and the gateway are two small post-war concentration plots made by the Army Graves Service and the IWGC in the typical manner in which remote cemeteries were joined to the nearest road by post-war concentration (at the same time relieving the IWGC of the need to find burial places for a few dozen of the huge number of their "surplus" graves at that time). Finally, against the rear wall, are the memorial stones to men whose graves are "Known to be..." or "Believed to be..." buried in the cemetery. All these different features are most useful when I use this cemetery to give my "development of the British cemeteries talk" to groups. An added attraction is that I cannot remember ever being interrupted by the arrival of other visitors. Ten Tree Alley Cemetery — takes real effort to reach this remote spot. Hawthorne Ridge Cemetery No. 2, in a quiet corner of the Newfoundland Park, which is being steadily spoiled by officialdom (though I do sympathize with the problems involved; I was so fortunate to do most of my visiting before the age of mass commercial touring). Gordon Dump Cemetery, for the quirky way the cemetery had to be turned back to front after the roadway meant to provide access was closed and spoiled the cemetery architect's earlier design. Better stop now, but there are many more. Oh, go on, one more. 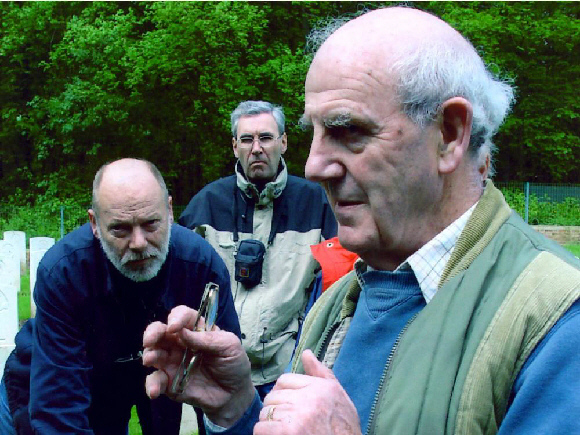 Take a good guidebook and go up to the Bois Francais for a variety of reasons. 3. You do not seem as harsh in your criticism of Field Marshal Haig as many of your contemporaries. How do you think his leadership and command rates compared to his peers: Joffre, Foch, Pétain, Hindenburg/Ludendorff, Pershing, Cadorna? MM: You have the wrong chap here, Mike. I'm Martin Middlebrook, not John Terraine, Corelli Barnett, or John Keegan; they are not my contemporaries. Let me explain. Histories on the First World War (or any other conflict) come in one of three categories — looking at war from the top downwards, from the bottom upwards, or a mixture of the two. I am an unreformed "from the bottom upwards" man — interested in the experiences of the ordinary soldiers and in the detail of tactics and actual battlefield experience. I only include the minimum of generalship and tactics necessary to set the scene for my main story. John Terraine and Corelli Barnett (and possibly others) have criticized my First Day because they thought, because I write about disasters, that I am criticizing the generals. They were "from the top downwards" experts. I do not believe that they had bothered to read my books first. In fact, they would find it hard to find any direct criticism of Haig in any of my books. It just happens that choosing a day like July 1st, 1916, allows the best opportunity to write about the things in which I am interested — and, apparently, many other readers also. I do have personal opinions about Haig, etc. but do not feel qualified to put them into print. 4. Of all the veterans of the Great War you were able to meet personally, who was your favorite character? MM: No problem with this question. Private Thomas Easton, 1st Tyneside Scottish, 34th Division. Much later, after I had started the writing, I decided to highlight the experiences of a limited number of men, initially 14 in number, one for each of the attacking divisions on "the first day." I chose Tom Easton to represent the 34th Division, drove the 220 miles to his home, and conducted an in-depth interview. I found that he was a retired coal miner, living, appropriately, at No. 1 Aged Miners' Cottages, in a mining village in Northumberland in the far northeast of England. He was a genial man who cooperated fully. Despite his seemingly humble origins and abode, I found that he was a natural leader among the working class that was his life. After the war he had become a trade union leader, and he was currently an alderman (the highest elected position in local government at that time) on Northumberland County Council (only one level lower down from Parliament) — as a member of the Labour Party, of course. In addition to his help with the book, he became a lifelong friend. The second contact was a more personal one. A few years later I took my wife and three young daughters for a holiday in Northumberland. Tom invited us to "drop in for a cup of tea" on the way. We found a table completely covered in sandwiches, homemade cakes, etc. — a fine example of northern English hospitality. My family loved it. I never saw Tom again. Through my book, he became known to a wider circle of admirers; there were other visitors to his cottage. In later years he became more frail and died after a fall when he slipped on some dog muck on a pavement. A memorial to him stands on the edge of the Lochnagar Crater. 5. Tell us about your interest in the WWII air war, which as a U.S. Air Force veteran, I share. MM: OK. I lost an uncle in the First World War — Sgt Andrew Crick, 1/4th Lincolns, 46th (North Midland) Division, died of wounds October 1915 at Remi Farm, buried Lijssenthoek. When I was a boy (I was born 1932) our family had a close friend, Theodore Archard, a bachelor, a devout member of our local Catholic church. I was very fond of him; I called him Uncle Theo. He was an industrial chemist in the food industry, a reserved occupation when war came in 1939 — i.e. he need not serve in the forces. 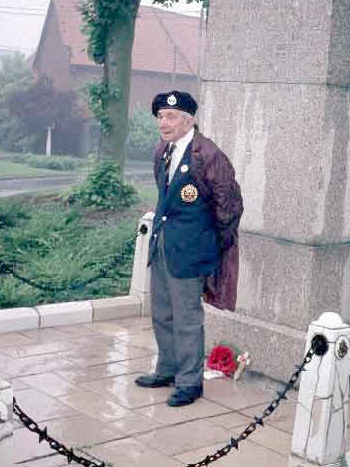 But he volunteered for RAF aircrew and became a Lancaster navigator in Bomber Command. He and all his crew were killed when shot down by a night fighter in a raid on Mailly-le-Camp, a Panzer training camp and depot in France, just before D-Day. I visited his grave — one of 21 in one long row, three crews — during my first trip to the battlefields in 1967. 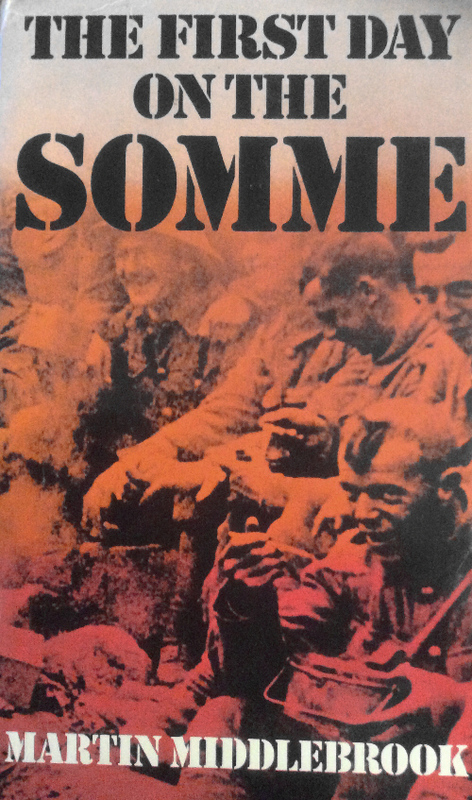 I expected to return to full-time work in my poultry business after The First Day on the Somme was published in 1971. I had realised the dream of having my Somme book published, now back to normal life. 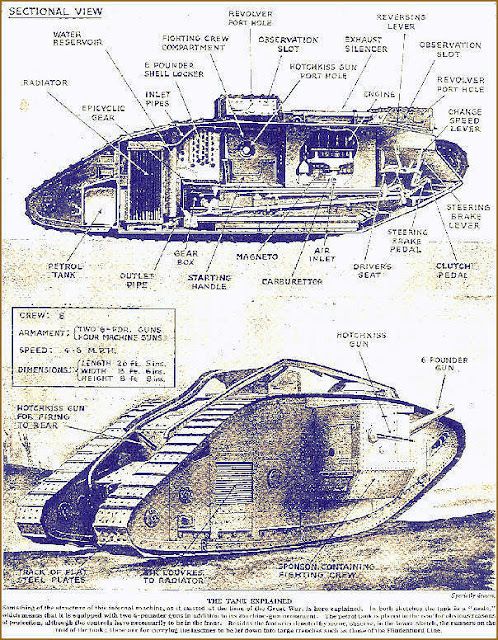 Then I received a phone call from my agent: an American publisher — Norton — was going to publish the Somme book! I was astonished, had never thought of an overseas publication. I decided not to return to the chickens; I would raise my ambitions and try to write two more books, one about the air war, one about the sea, both from another war. You should detect some self-indulgence here. What I had done with the Somme and was about to do with the two new books was to cover both world wars and all three theatres of war, researching and interviewing to my heart's content, and actually getting paid for it! So, what was next? I have always seen RAF Bomber Command as the Second World War successors of Kitchener's Army — all volunteers, led by similar characters — Haig and Harris, committed to seemingly endless battles of attrition with frightful losses. I nearly decided on Theo Archard's Mailly-le-Camp raid, but it had only involved two of the six bomber groups. I found that Theo Archard had flown on the Nuremberg Raid a few weeks earlier when Bomber Command suffered its heaviest loss of the war — 95 heavies for little bombing success at Nuremberg. Theo's crew, a new one on ops at that time, had just made it home from that raid. So, The Nuremberg Raid it was. I followed the same formula as The First Day, though not with central characters, met some more interesting people but of another generation, including top German night-fighter pilots and their senior officers. Convoy, the North Atlantic naval book, followed. There was one memorable interlude in the succession of RAF bomber books. For The Battle of Hamburg I made a small visit to the United States to interview 8th Air Force aircrew members who had taken part in the two small B-17 raids during the Hamburg offensive. It was my first visit to your country and I enjoyed every minute of it. I deliberately followed up later with The Schweinfurt-Regensburg Mission, the preparation for which culminated in a six-week visit. I carried out 80 interviews in a air flight and car-hire trip from coast, to coast, to coast — from the Atlantic, to the Pacific, to the Gulf. It was great to meet great men such as Curtis LeMay and Ira Eaker, and so many B-17 and P-47 pilots and crewmen. I was shown great hospitality by their wives, who were so impressed that a man had come from England to interview their husbands. While interviewing Hub Zemke at his almond ranch in California, Hub's wife spent the evening shelling a bag of nuts for me to snack on during my journey next day. A B-17 gunners wife baked me a pecan pie after I had gone from their modest home to my nearby motel. The ex-gunner was waiting for me with the pie when I appeared next morning. Then there was my "10-cent visit to Minneapolis-St Paul." The 10 cents was for a phone call from the airport to my first contact; the eighth man delivered me back to the airport three days later. I had not spent a cent in the interval. My American Express card became red hot; the book was in debt for several years but eventually turned a profit. 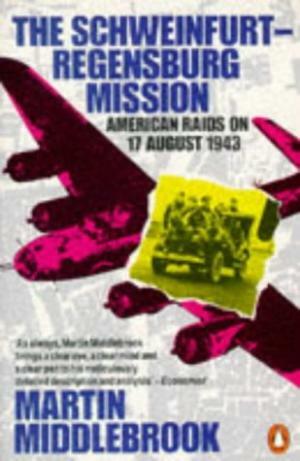 The Schweinfurt-Regensburg Mission was published in New York, by Scribners. I am very proud of it but disappointed that it did not sell particularly well. Thomas Coffey had published a book on the two Schweinfurt raids and had done very well with it. I felt my book was at least as good, probably better on the German side, but the U.S. book-buying public obviously thought otherwise. But it was all a great experience. Thanks again, Martin, for your great contribution to the literature of both world wars. I hope our paths cross again someday. Big metal things they were, with two sets of caterpillar wheels that went right round the body. There was a huge bulge on each side with a door in the bulging part, and machine guns on swivels poked out from either side. I was attached to battalion headquarters and the colonel, adjutant, sergeant-major, and myself with four signalers had come up to the front line. From this position the colonel could see his men leave the assembly trench, move forward with the tanks, jump over us and advance to the enemy trenches. 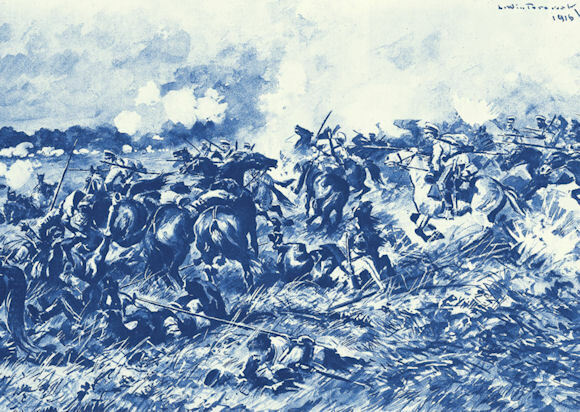 As a new style of attack he thought it would be one of the highlights of the war. 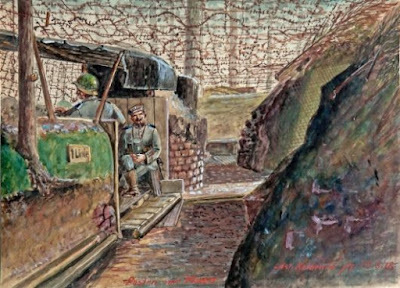 While it was still dark we heard the steady drone of heavy engines, and by the time the sun had risen the tanks were approaching our front line, dead on time. The Germans must have heard them too, and, although they had no idea what to expect, they promptly laid down a heavy curtain of fire on our front line. This had the effect of making us keep our heads down, but every now and again we felt compelled to pop up and look back to see how the tanks were progressing. It was most heartening to watch their advance, we were almost ready to cheer. But there was a surprise in store for us. Instead of going on to the German lines the three tanks assigned to us straddled our front line, stopped and then opened up a murderous machine gun fire, enfilading us left and right. There they sat, squat monstrous things, noses stuck up in the air, crushing the sides of our trench out of shape with their machine guns swiveling around and firing like mad. Everyone dived for cover, except the colonel. He jumped on top of the parapet, shouting at the top of his voice, "Runner, runner, go tell those tanks to stop firing at once. At once, I say." By now the enemy fire had risen to a crescendo, but, giving no thought to his personal safety as he saw the tanks firing on his own men, he ran forward and furiously rained blows with his cane on the side of one of the tanks in an endeavour to attract their attention. Although, what with the sounds of the engines and the firing in such an enclosed space, no one in the tank could hear him, they finally realized they were on the wrong trench and moved on, frightening the Jerries out of their wits and making them scuttle like frightened rabbits. One of the tanks got caught up on a tree stump and never reached their front line, and a second had its rear steering wheels shot off and could not guide itself. The crew thought it more prudent to stop, so they told us afterwards, rather than to keep going as they felt they might go out of control and run on until they reached Berlin. 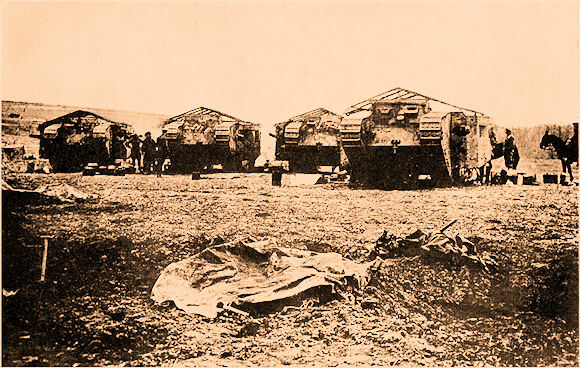 The third tank went on and ran through Flers, flattening everything they thought should be flattened, pushing down walls and thoroughly enjoying themselves, our lads coming up behind them, taking over the village, or what was left of it, and digging in on the line prescribed for them before the attack. This was one of the rare occasions when they had passed through the enemy fire and they were enjoying themselves chasing and rounding up the Jerries, collecting thousands of prisoners and sending them back to our lines escorted only by Pioneers armed with shovels. The four men in the tank that had got itself hung up dismounted, all in the heat of the battle, stretching themselves, scratching their heads, then slowly and deliberately walked round their vehicle inspecting it from every angle and appeared to hold a conference among themselves. After standing around for a few minutes, looking somewhat lost, they calmly took out from the inside of the tank a primus stove and, using the side of the tank as a cover from enemy fire, sat down on the ground and made themselves some tea. The battle was over as far as they were concerned." What Did You Do in the Great War, Mr. Joyce?